You'll explore the less-touristy side of things at Whale Beach and Bilgola Beach. Your itinerary includes some good beach time at Avalon Beach and Mona Vale Beach. 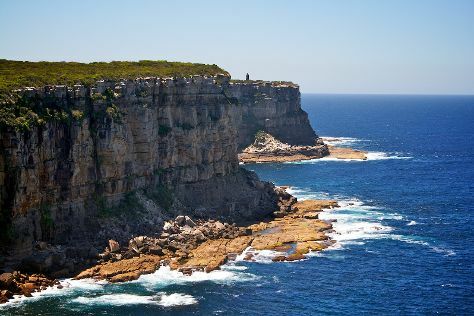 Venture out of the city with trips to North Narrabeen Beach (in Narrabeen) and Barrenjoey Lighthouse (in Palm Beach). There's still lots to do: admire the masterpieces at Manly Art Gallery and Museum, steep yourself in history at Vaucluse House, and look for all kinds of wild species at North Head Sanctuary. Before you visit Manly, use our trip planner to discover what you can do and see there. Newark, USA to Manly is an approximately 30-hour flight. Due to the time zone difference, you'll lose 15 hours traveling from Newark to Manly. Traveling from Newark in March, expect Manly to be much hotter, temps between 78°F and 66°F. Finish up your sightseeing early on the 3rd (Sun) so you can travel back home.